This elegantly designed wearable device renders holographic 3D objects and information in the context of your own “real” environment. Unlike Virtual reality, you’re not isolated in a completely virtual world; you can move freely in your own familiar space. But the HoloLens does more than place graphics within your environment. It actually reads and reacts to the walls, furniture and objects to fully integrate them in your experience. If you’re playing Fragments, (the crime-solving game developed for HoloLens by Asobo) for example, you can search for clues under your coffee table. The room in which you play the game is fully integrated into the mixed reality experience. Other people in the room can also be fully integrated. So imagine the possibilities for training, education and problem solving. Let’s say equipment in your factory isn’t working right. Typically, you call the technician, and describe the issue over the phone. Maybe you screen share and send photos or videos. It works but there’s a lot of wasted time. Now imagine that technician is “virtually” in the room with you. You can walk around the equipment, view diagrams and data tables, even see inside the equipment using 3D models, in real time, together. While virtual collaboration offers the advantages of sharing information spatially, there’s huge potential for temporal efficiencies as well. Imagine doing a test run of robotics on an assembly line using holographic robots. You can make corrections on the 3D model, test and tweak repeatedly without destroying anything. 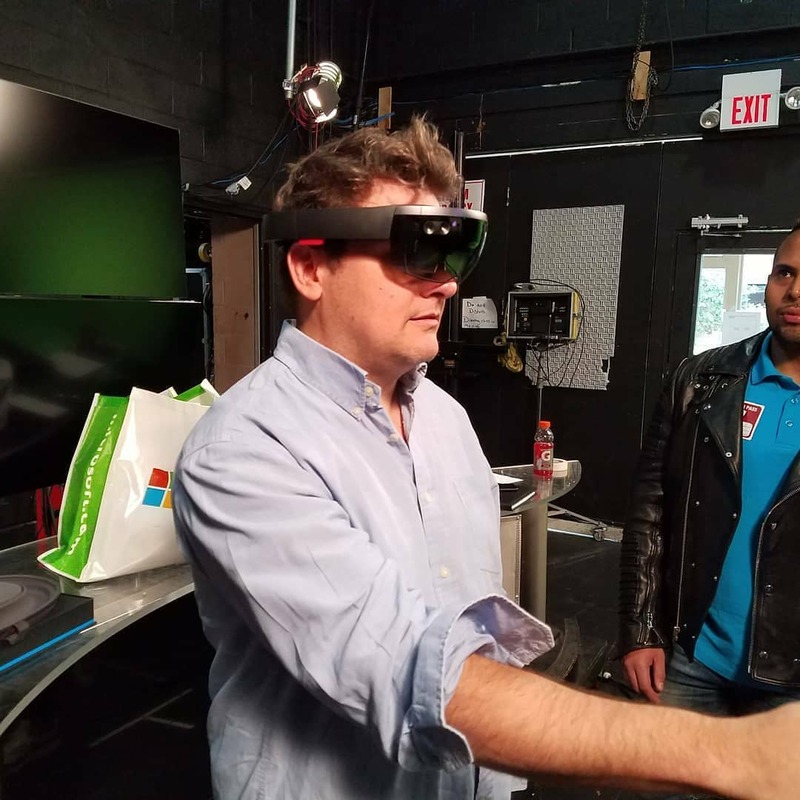 At Five Towns College in Dix Hills, December 3rd at 6:30pm, join LIVP, Paul Lipsky and his students for a hands-on demonstration of the next generation of HoloLens. It’s an opportunity to experience the kind of technology that will change our paradigm of reality and connectivity for the future.